Each room of this spacious flat offers an abundance of gentle light, and peaceful views over the woods and creek. Neutral paint and flooring are in colors soft enough not to distract from the beautiful corner vistas. The great room features a large living space with glass doors to the balcony overlooking the trees, as well as a dining area large enough for a full dining set. The updated kitchen features wood cabinets and tile counter top and backsplash. Off the open great room is a spacious den, perfect for curling up with a cup of tea or hosting a book club. Then den includes a wall of built-in bookshelves. The laundry room boasts side-by-side washer and dryer, included in the sale. Off the den, the second and third bedrooms offer beautiful views over the creek and trees as well as custom closet organizers. The hall bath has an extra built-in for storage. The enormous master bedroom is bathed in the soft light of three large windows wrapping around the corner of the Strath Haven and overlooking the trees and historic Mary Lyons dormitory. A hallway of generous closets and custom built-ins leads to the master bath. An in-unit laundry cupboard boasts a side-by-side washer and dryer. Included in the sale is a private 7thfloor storage room. 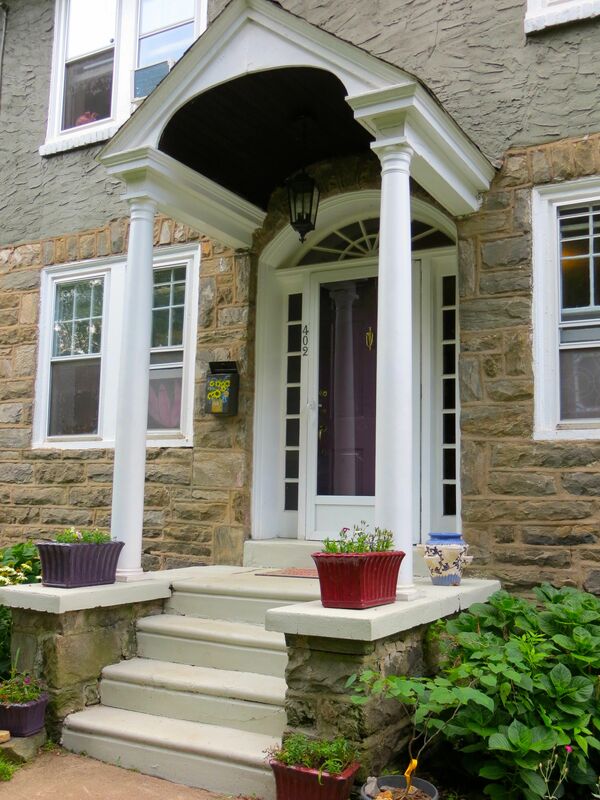 Ideally located in a small college town – just blocks from the beautiful campus and arboretum, town library, shops and commuter train station – this lovely home will be the setting for many happy memories. Strath Haven residents enjoy life in a highly sought-after community with swimming pool, library, bicycle storage, workshop and van service. The Strath Haven has been designated Gold Star status by Pennsylvania CAI. Its monthly fee is the most comprehensive in the area, and includes ALL utilities except phone/cable/internet. Ideally located in a small college town – just blocks from the beautiful campus, town library, shops and train station – this lovely property will be the setting for many happy memories. 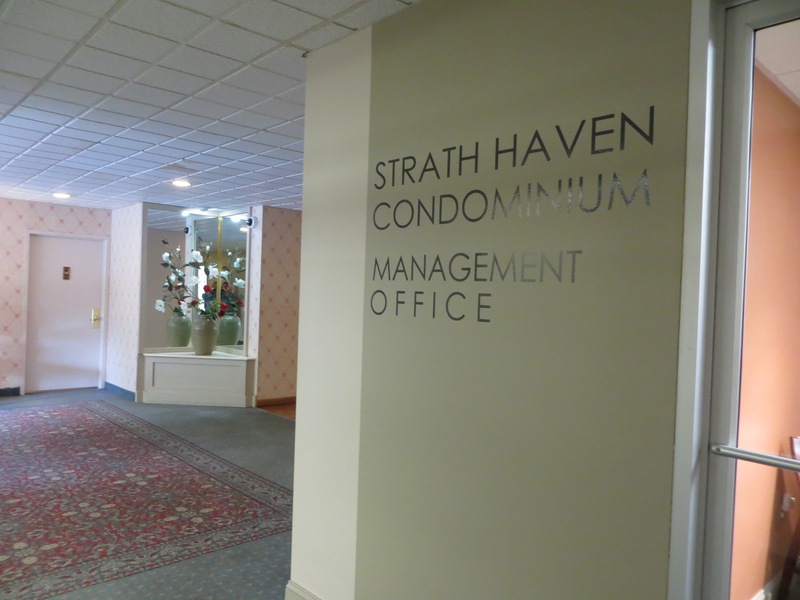 If you would like to learn more about life at the Strath Haven, please visit the community website here! If you would like to learn what makes the Strath Haven a Gold Star Community, please visit the CAI website here! 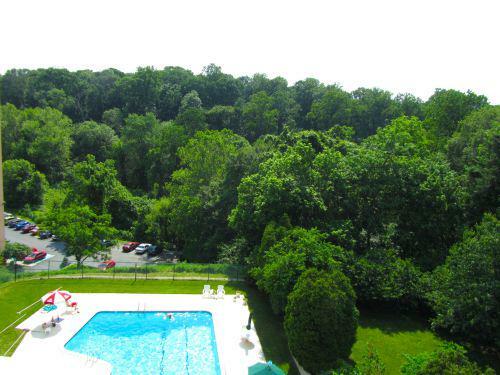 The Strath Haven is located in the heart of Swarthmore. 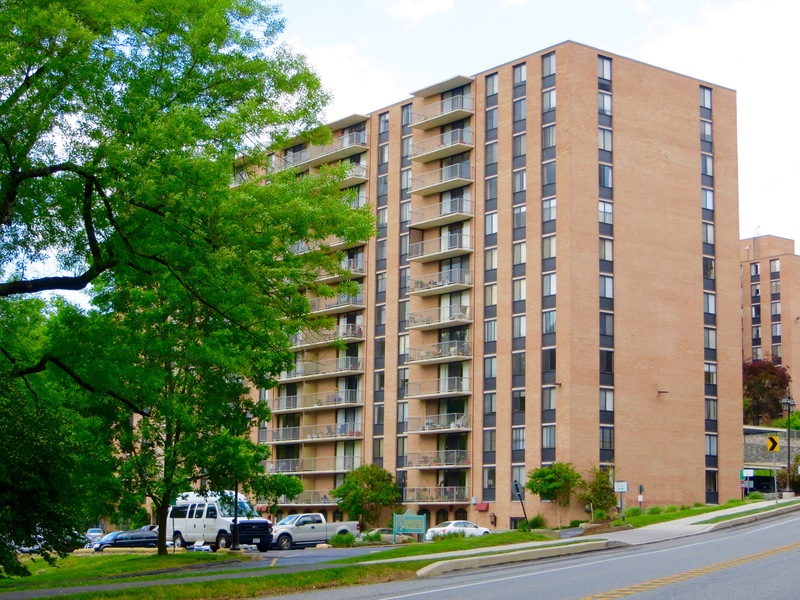 The west wing, in which #908 is located, overlooks the banks of Crum Creek. 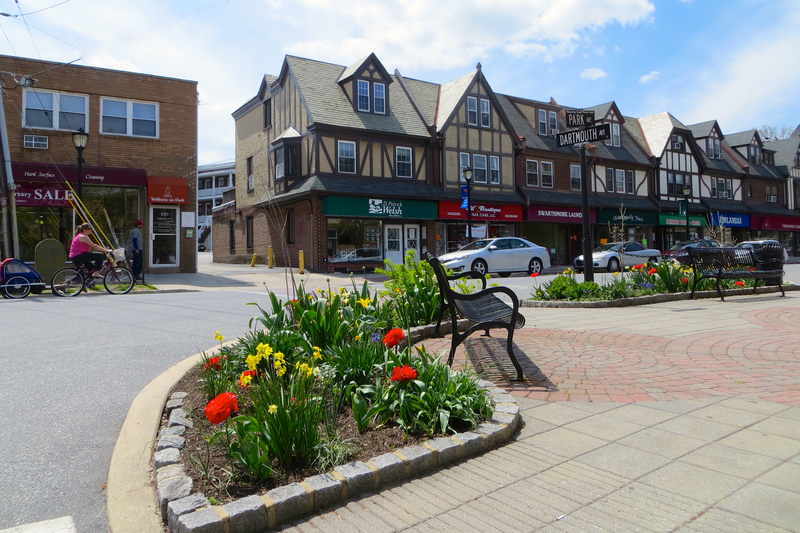 In the lower left portion of this picture you can see the Strath Haven van, which provides FREE daily transportation to residents to a variety of shopping and other locations. 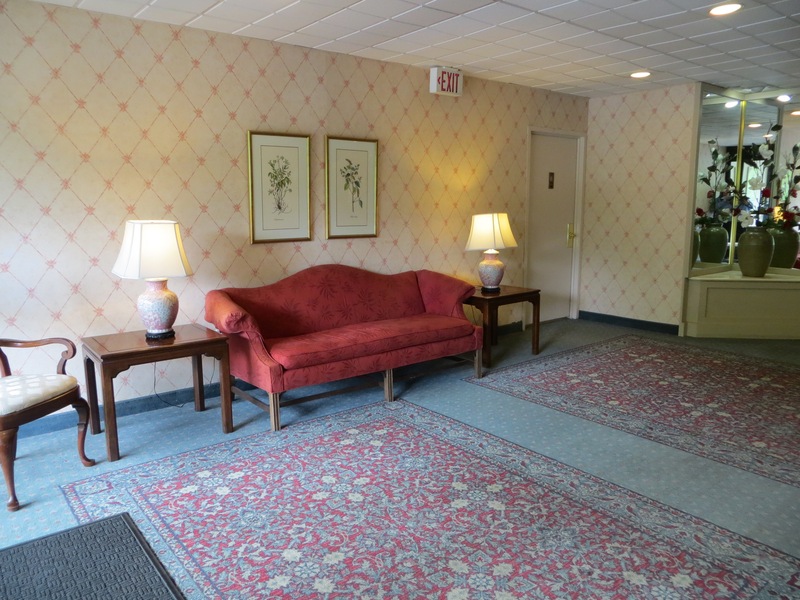 A light-filled common lobby impresses guests and is one of many places where residents enjoy socializing. 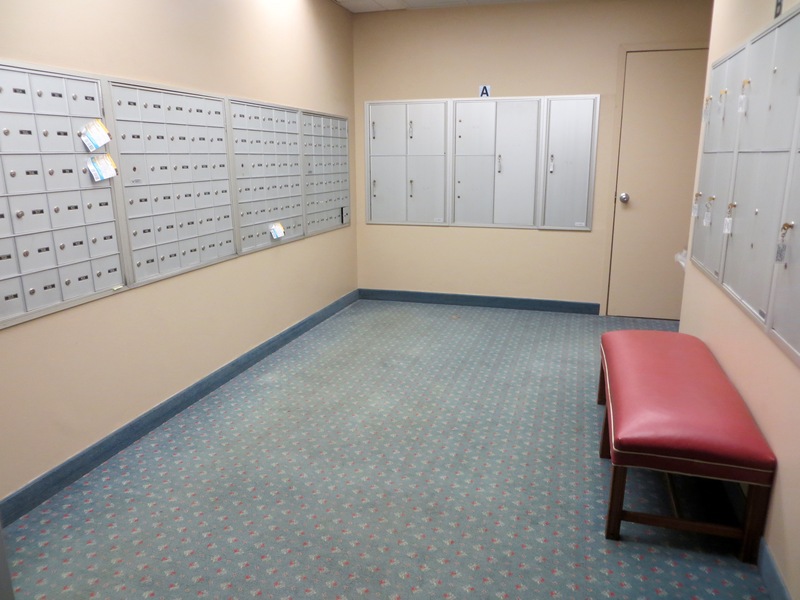 The mail room is handily located just off the main entrance. Take a look at the Strath Haven website to see the well-stocked library, the community room, and even the bike storage room! An on-site management office with full-time dedicated staff is a rare luxury. Entry for residents is via security fob. 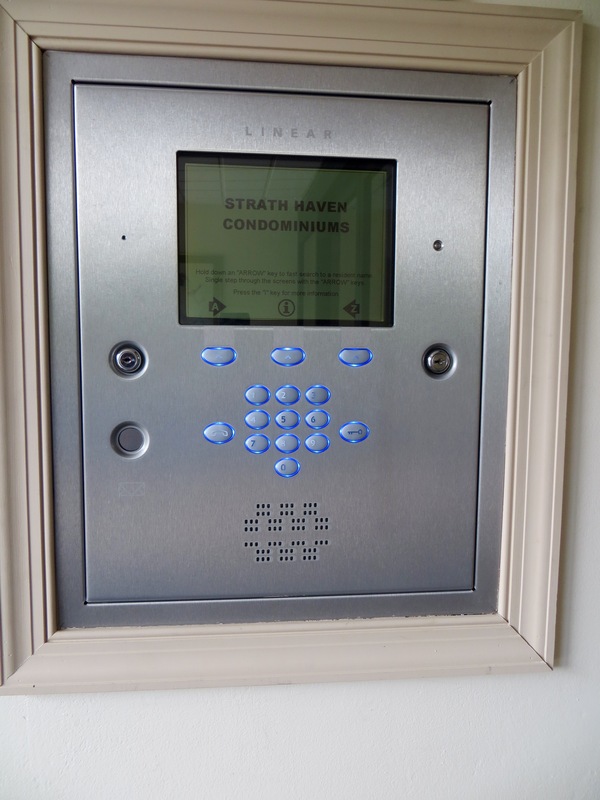 Guests may call up using this key pad. 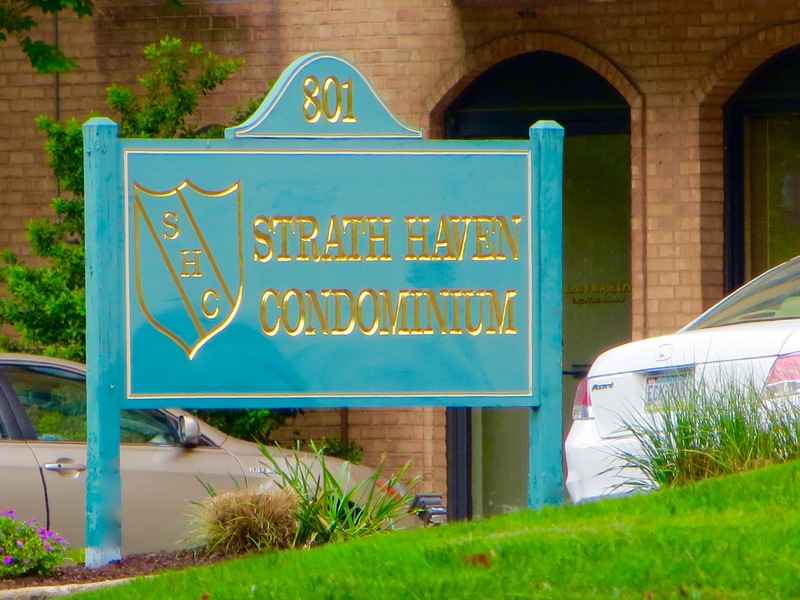 The Strath Haven has been designated a Gold Star Community – the highest honor bestowed by Pennsylvania CAI. 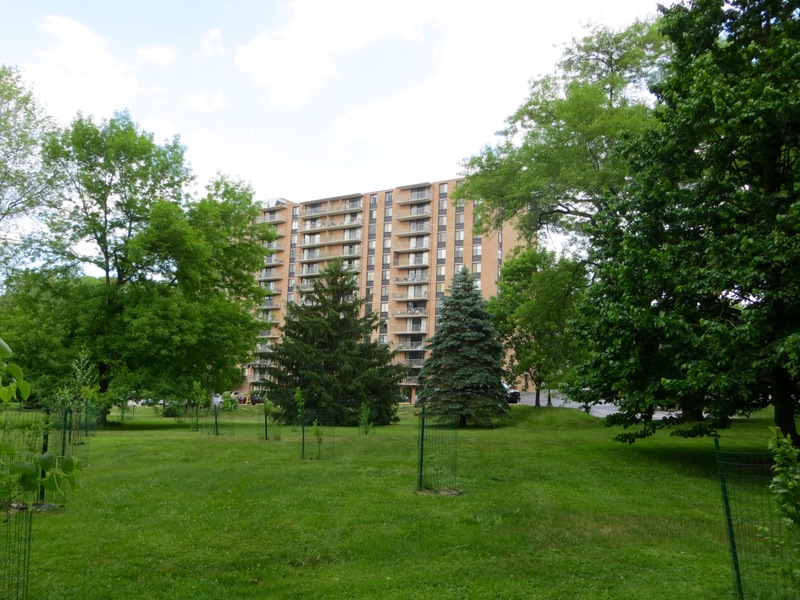 Gold Star Communities are fiscally responsible, and well-maintained, with transparent management and a focus on promoting a high quality of life for residents. The pool is inviting and open all summer long – free to residents! 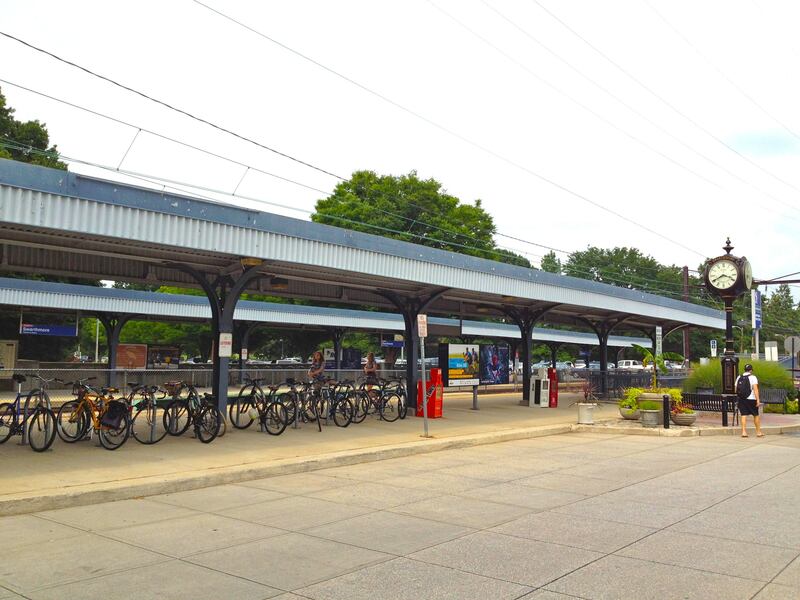 …the R3 train station – complete with bike racks! Walk to town, take your car, OR take the van service!